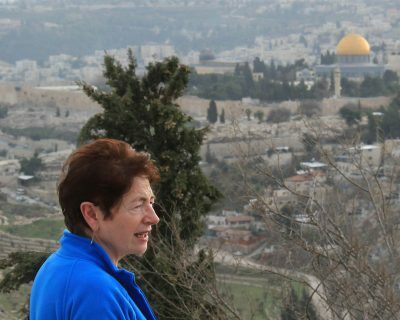 It is always very moving to make a pilgrimage to the Holy Land, but never more so than before Holy Week. There is the opportunity to participate in the joyous Palm Sunday procession. We recreate together the last weeks of Jesus’ earthly ministry and celebrate his triumphal entry into Jerusalem. There will be crowds, but the atmosphere will be uplifting. There is so much to see and experience on this tour. Come and learn this for yourselves, whether you are new to the Holy Land or have been many times before. There are always new sights and sounds to reflect upon. Reading the gospels will never be the same again. By visiting the Holy Land, we are standing in solidarity with our brothers and sisters there too. To have the chance to meet the ‘living stones’, the local Palestinian and Israeli Christians who are the ongoing, living church in the region, is humbling. We spend three nights on the Mount of Beatitudes overlooking the Sea of Galilee and four in Jerusalem right next to the Old City walls. 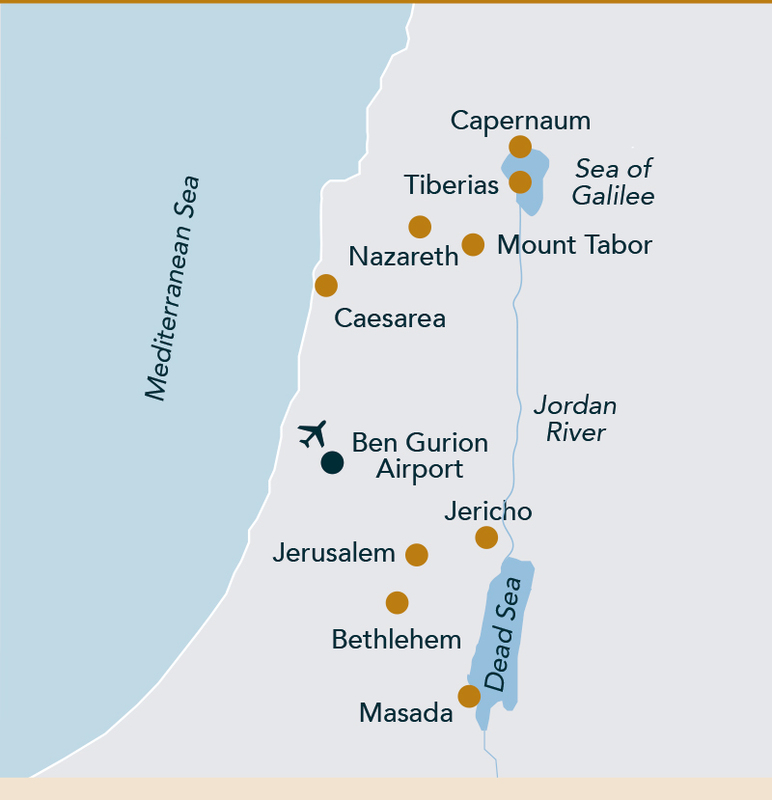 Included are all the sites where the most important events in Our Lord’s life and ministry took place. 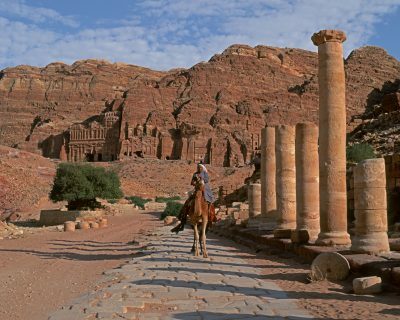 If you have never been on pilgrimage to the Holy Land before, please join us. If you have been, we invite you back at this special time. Our journey is a life changing as well as faith changing experience. Depart from London Heathrow direct to Tel Aviv. 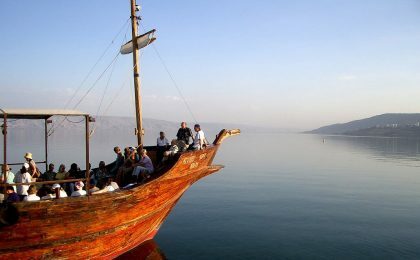 Three night stay by the Sea of Galilee. A leisurely breakfast before we visit the church and gardens commemorating the Sermon on the Mount. We then head to Capernaum and Tabgha (Holy Communion by the lakeside). Lunch at Tanureen and a visit to Banias followed by a relaxing afternoon boat trip sailing on the Sea of Galilee. 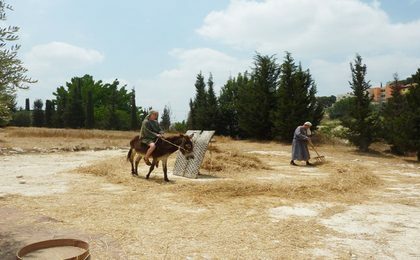 We spend the day in and around Nazareth with visits to Cana, Sindyanna (a Fair Trade non-profit organisation encouraging Arab-Jewish co-operation) Nazareth Village, Mary's Well, the Synagogue Church and the Basilica of the Annunciation as well as Mount Tabor and the Basilica of the Transfiguration. Lunch at a restaurant in the old city. Leave for Jerusalem stopping at the Jordan River baptismal site. Lunch in Jericho. 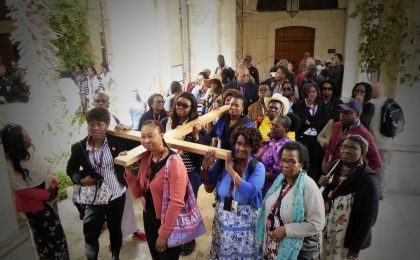 Walk from Bethphage over the Mount of Olives (visit Pater Noster Church and Dominus Flevit Chapel) to the Church of All Nations in the Garden of Gethsemane. Time to relax at our hotel before dinner. Four night stay in Jerusalem. We visit the Garden Tomb and head to the Bethlehem area to visit the Shepherds’ Fields. On to the Bethlehem Rehabilitation Centre to hear about their work (lunch here). Afternoon visit to Manger Square, the Basilica and Grotto of the Nativity and St Jerome's Caves. Time for some shopping at an olivewood co-operative before returning to Jerusalem. 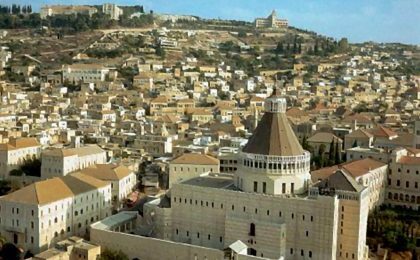 Visit the Church of St Peter in Gallicantu and the Upper Room on Mount Zion. Walk through Zion Gate to the Western Wall to view Temple Mount (Dome of the Rock and el Aqsa mosques). Continue to the Pool of Bethesda and St Anne’s Crusader Church. Lunch at Ecce Homo Convent (Holy Communion). 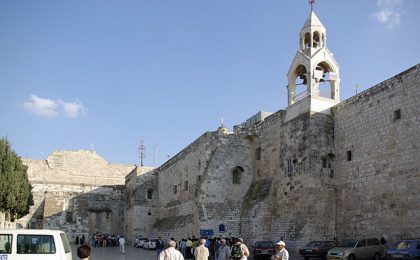 Walk along the Via Dolorosa to the Church of the Holy Sepulchre. 08:00am Mass at the Church of the Holy Sepulchre with the rest of the morning free. Lunch on the Mount of Olives at the Seven Arches Hotel with panoramic views over Jerusalem. 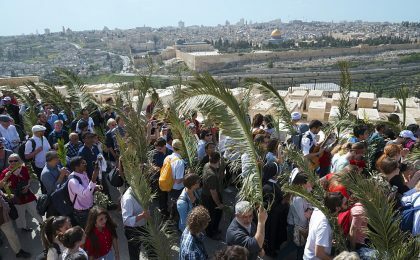 We then remember Jesus’ Triumphal Entry into Jerusalem and join the procession from Bethphage down the Mount of Olives across the Kidron Valley into the Old City singing hymns and bearing palm fronds. Morning visit to Bethany for The Church and The Tomb of Lazarus and Jeel Al Amal Boys’ Home, sponsored by The McCabe Educational Trust. Lunch in Nicopolis, a possible site of Emmaus, before heading to the airport for return flights to London. The only extras you need to budget for are drinks and shopping. We include lunches, not only for the meal but to give a relaxing break in the middle of the day. We also include all gratuities to guide, driver and hotel staff. Travel Insurance, Single Room Supplement, Personal Spending. You will be accompanied by a professionally qualified local Christian guide, and touring is done by air-conditioned private coach. Days usually begin at 8am, and generally returning between 5pm, with dinner served from 7pm onwards. Touring days feature morning and afternoon excursions, with an organised lunch stop to break up the day. 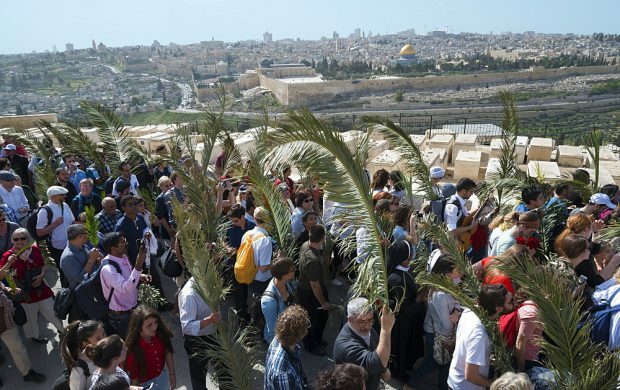 There will be quite a bit of walking due to the nature of participating in the special Palm Sunday processions and services. Please call the McCabe office for advice if you are at all concerned about this aspect. Buffet breakfast and evening meals will be served at the hotels. Lunches will be in local restaurants. The McCabe recommended insurance policy is designed for the older traveller. 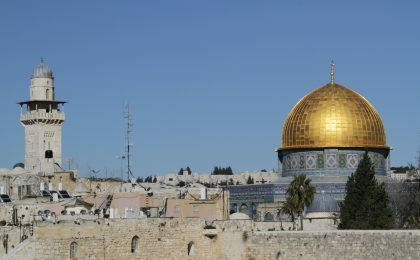 The premium for a Holy Land pilgrimage is £59. Travellers aged 76 and over pay £89. A key feature of our recommended policy is that there is no requirement for medical screening and most pre-existing conditions are covered. We also recommend that older travellers obtain a note from their doctor stating that they are fit to travel. Do feel free to shop around as there are many suitable insurance options available including annual policies. We do insist that all travellers take out medical insurance. Fly El Al from London Heathrow direct to Tel Aviv. In flight meals, drinks, snacks and 23kg of checked in luggage are included. Passports should be valid for at least six months after the time of travel and a visa is issued free of charge to UK passport holders on entering Israel. 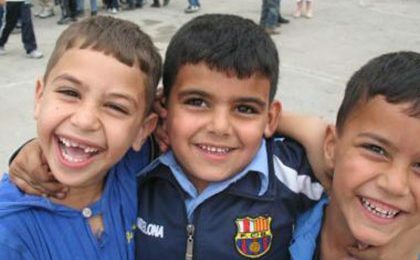 There are currently no further requirements for entering the Palestinian territories. Non-British passport holders should consult the McCabe office as they may be required to apply in advance for a visa. No inoculations are essential but we advise travellers to consult their GP regarding personal requirements.